Barbara has another fun spice event over at Tigers & Strawberries. I've been playing with Masala as a result. Roasting in the pan are cinnamon, coriander seeds, cumin seeds, and cloves. There's supposed to be mace in there as well but The Spice House was closed yesterday (and I was not the only disappointed customer either, I can tell you) and I couldn't find whole mace blades anywhere so I had to settle for ground. 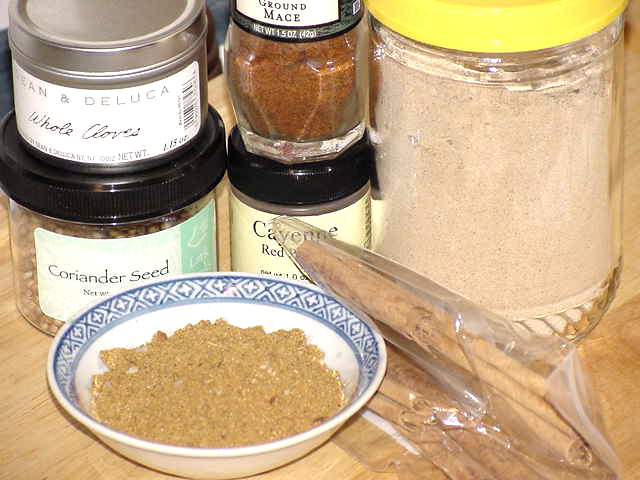 After the whole spices were roasted, I combined them with some ground ginger, the ground mace, some red chilies, and sea salt (and the spice that I'm going to use for Barbara's challenge) and ground them up. And ended up with the most wondrously fragrant of masalas. If garam masala is warm and spicy, tandoori masala is warm and toasty--rich and earthy, with hints of chocolate and coffee, oddly enough. Barbara's theme is linked to going back to school. 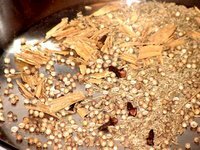 We're supposed to use a spice we have either never used before or know little about, learn about it and write it up. Yay--I have a paper to write! So what is my mystery spice? It's in the big jar on the right. 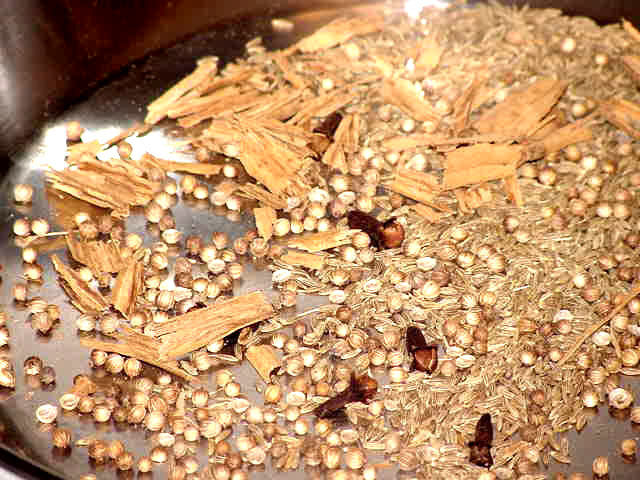 You'll find out what it is when I write up my Spice Is Right post in the next couple of days. Oh, the mace is on top in the middle. I don't believe I've ever used that before, either. It has a nice, rich, almost citrusy aroma, and it's used in baking.